I met with Amelia and wanted to take my fitness to the next level. I was already going to the gym but I wanted to compete in a bikini model competition and challenge myself. How many competition seasons have you done with Living Beauty? I have compete in two seasons, both 2017 and 2018. How have you found the coaching? 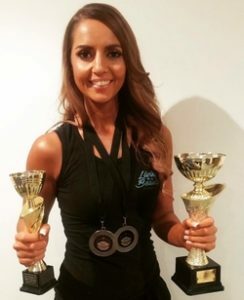 During both of my 20 week programs, I have had both Amelia, Owner and Gemma, Assistant Coach looking after my wellbeing, my head space and motivation and coaching me with weekly check ins and accountability. What is the difference with Living Beauty? The meal plans are all laid out for me and I don’t have to think or calculate, it is simple and effective. This is important to me because during this season I had my engagement party, I work a full time corporate role that is long hours and I also got married! The training is challenging but the coaches programmed my workouts to avoid a shoulder injury that I have had for years, and I toned up all over my body. 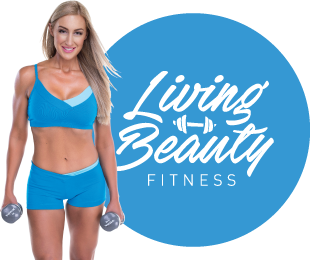 I wasn’t always able to complete all my training but Living Beauty due to my working commitments, but Living Beauty supported me with weekly coaching and setting small goals to keep me focused every week. The key to success is breaking the big goal into smaller achievable steps. I am so proud of my achievements!